Are you sick of receiving pesky credit card mailers seemingly every single day? I was, which is why after several grueling years I finally took action (yes, I procrastinated a couple years). After all, aside from being a general nuisance and bad for the environment, these mailers can also land in the hands of bad people. And those people can take out credit in your name, putting your finances in jeopardy while doing unnecessary harm to your credit score. So what can you do? 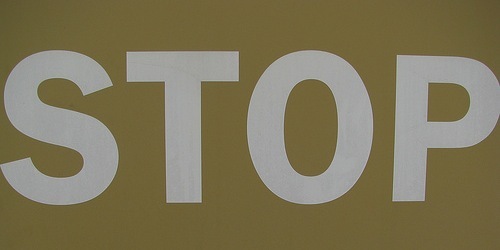 Well, the easiest place to start is at the website OptOutPrescreen.com, or the associated toll-free hotline 888-567-8688. This free service prevents certain pre-approved credit and insurance offers from being sent to you based on information provided by credit reporting bureaus such as Equifax, Experian, Innovis, and TransUnion. You have the option of opting out for five years online or permanently if you do it by mail. While this service is quick and easy, it still leaves credit card offers from your current card issuers and other direct mail providers unaccounted for. Unfortunately, the Direct Marketing Association charges $1 for you to opt-out of direct mail offers, so I wouldn’t endorse paying them a dime to remove your name, especially when there’s no guarantee the mailers will actually stop. The best way to stop the incessant mailers once and for all is to log on to your account(s) online and change your privacy preferences. For example, in the American Express online control panel, you have the ability to manage the offers you receive from the company, including whether they can share your credit information with affiliates, or send you mail, e-mail, or telephone offers. By simply checking “NO” for all these categories, you will significantly reduce the amount of unwanted mail you receive, effectively minimizing your risk of identity theft in the process. However, Capital One, Chase, Citi, and Discover all require a phone call to opt-out of their mailing offers. Citi and Discover said it could take up to 30 days for the mailers to cease, while Chase said it could take up to 90 days. Capital One told me it could take several weeks. Tip: If you have multiple accounts (credit cards) with each company, make sure you specify that they stop mailers for ALL accounts. The Chase representative only opted-out one of my cards, at which point I had him take care of the other one as well. To stop information sharing, telemarketing, and direct mail at Wells Fargo, simply call 888-528-8460 and follow the automated system. It’s easy and fast to clear yourself with them. I asked each company why there wasn’t an option to opt-out online, and no one had a single answer for me. They came off a bit guilty, as if they’d been asked the same question numerous times but weren’t divulged to explain their clandestine policies. It’s quite sad that global corporations resort to these efforts to endlessly market to us, but that’s how they became so dominant to begin with. Rules are for wimps. Another tip: If you constantly receive a former renter’s (or homeowner’s) credit card offers, you can call the card issuers and tell them they no longer live at the address to make those stop as well. I’ve done this successfully, though it took time for the changes to take effect. Will It Help Your Credit Score? One final note. Just because you eliminate the mailers doesn’t mean your credit score will improve. When credit card issuers send pre-screened or pre-approved offers, they don’t count as hard credit inquiries, and thus won’t affect your scores in any way whatsoever. Of course, fewer offers in front of your eyeballs may mean that you won’t apply for new credit as often, which could actually raise your credit score over time, indirectly. And let’s face it, if you receive fewer offers, there’s a good chance you’ll apply for less credit. You may also avoid the not-so-good offers that tend to arrive via snail mail. 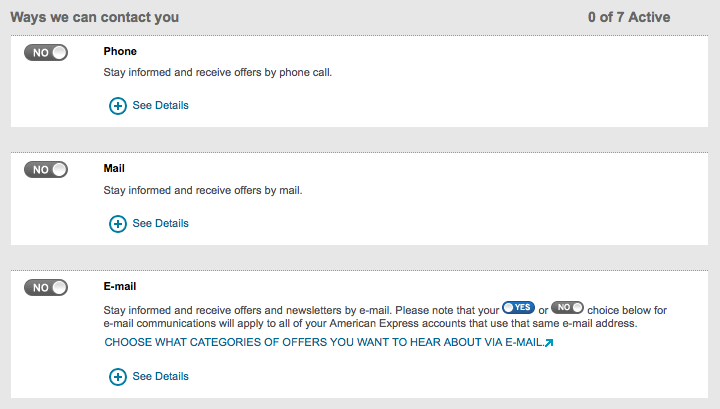 For the record, after I opted-out of everything, I decided to opt back in with the hopes of getting targeted offers. To date, I’ve only received a few semi-enticing offers, none I’ve actually acted on. Read more: Should you opt back in to receive targeted offers?